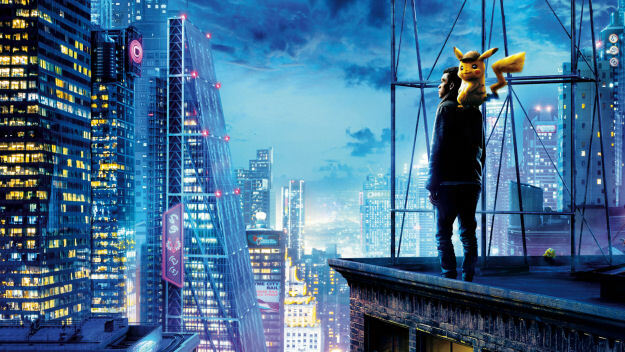 A special stage event will be held on April 25th to commemorate the completion of Pokémon: Detective Pikachu. Ryan Reynolds, Justice Smith, Kathryn Newton, Ken Watanabe, Ryoma Takeuchi, Marie Iitoya, and director Rob Letterman are scheduled to be there. ※There is a chance that last-minute schedule conflicts will force some guests to not be able to make it. We appreciate your understanding. ※If there are a large number of applicants a lottery will be held. ※Inquiries about whether or not an applicant was chosen will not be accepted. Thank you for your understanding. Please make sure to read the fine print below. Please only apply after agreeing with the terms and conditions. Please do not apply with the intent to sell or transfer your ticket, or to sell or transfer your rights to go to the event. The venue staff will be checking your personal identification on the day of the screening to confirm that you are one of the winning applicants. Please make sure to bring a photo ID or, if you don't have one, two separate IDs that can be used to verify your name. The person who accompanies the winner will also need to provide identification. If, on the day of the premiere, we cannot confirm the identity of you or the person accompanying you, or if we determine that you received your invitation through illicit means then we reserve the right to deny you access to the event. We will not be accepting changes to who accompanies you after you've applied. Please only enter the information of those who you are sure can attend the event the day of. In addition, if you have someone accompanying you then please make sure the two of you go to the sign-in counter together. If one person applies through this site multiple times, or if both you and your friend apply separately and put each other down as your guests (in order to double each others' chances of winning) then you both will be disqualified. The media will be on-site during the event to take photos of the event, including commemorative photos, and may also show them on TV, in magazines, or on the Internet. There is also a chance that any images taken during the event will be used on products like DVD home releases that go on sale at a later date. We thank you for your understanding. This event may be canceled without notice and at the sponsor's discretion due to inclement weather or other unavoidable circumstances.